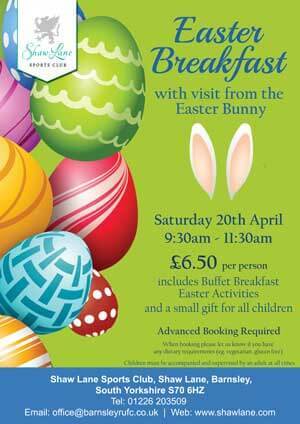 Join us for Buffet Breakfast with a special visit from the Easter Bunny! 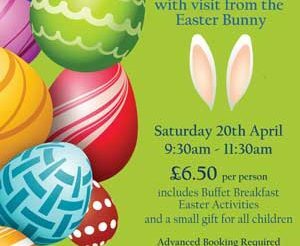 £6.50 per person includes Buffet Breakfast with Tea, Coffee or Cordial for the kids, Easter activities and a small gift for each child. When booking please let us know if you have any dietary requirements eg. Gluten Free, Vegetarian. Easter Bunny mascot supplied by The CopyCat Party Company and will visit 10am – 11am.